In a typical Kodaly or Orff sequence, students learn 16th notes around 2nd or 3rd grade. This timeline is completely based on the musical background of your students, how often you have class, and how long your class is. So while I’ve chosen the songs in this collection for a 2nd or 3rd grade developmental level, they can easily be adapted for younger or older grades. You can read more about how I select material for my classroom here. I heard this song in an Orff video from AOSA’s website. If you’re not a member, you should consider it! They have a video page where you can watch past presentations from national conferences. The video page alone is worth the yearly membership price! When I introduce this song, I ask students to make a train in small groups. They choose their train’s pathway and move around the room. This song is amazing for 16th notes, since (if you’re following a “traditional” Kodaly sequence), the 16th notes will be the only unknown rhythmic element in the whole song. Pairs of students hold hands and one student stands in the middle of them. On "fare thee well, my darling" the middle student must leave from under the pair's arms and find another pair. The student may not repeat pairs. This gets especially fun if you are short one house relative to the number of people looking for a house. It becomes like high stakes musical chairs. It’s a blast! One student stands in the middle of the circle with his or her eyes closed, and the teacher silently picks a secret singer. The other students sing the song, with the exception of the word, “Dinah”. The word “Dinah” is sung by the secret singer. When the song is over, students silently switch places in the circle. Then the person in the middle guesses whose voice he or she heard. There are roughly a million different versions of this song out there, and they’re all wonderful. I searched for a while to find the version I use in my classroom. This game can get competitive, so it’s good to make sure students have enough space to move before you start! Students stand in a double circle with a partner. One student stands in the middle of the circle. As students sing the song they walk around the circle until the word, “grab”. At that point, the outside circle stops moving and each person on the inside of the circle takes one step forward to “grab” a new partner. The person standing in the middle of the circle may also run forward and “grab” a new partner, leaving someone else to go in the middle. Tideo is quite possibly my favorite folk song of all time. I have a lot of favorites. But this might be my favoritest favorite. The formation is an inner circle and outer circle. Every “skip one window”, the outer circle moves clockwise one person. Every “Tideo”, pat legs, clap hands, then hit partner’s hands. Every “jingle at the window”, switch places with partner. This makes the outside circle on the inside and the inside circle on the outside. There is also a simplified version of the game in the “Folk Songs” page. You can find it here. The original directions to this game specify a boys line and girls line. In my classroom I don’t separate students that way, but you might consider doing so when first teaching the game since visually separating the two lines could be helpful. Formation: Double line formation facing forward. 1st verse - The first partner on the right steps out and walks clockwise around both lines and returns to his or her place. 2nd verse - Same player repeats his or her steps, but this time the whole line of students on the left line following her. 3rd verse - Following the head of their line, the left students peel off and march sharply to the left, doubling back upon themselves, while the students on the right side do the same walking sharply to the right. When the first couple meets, they form an arch under which the two lines pass. There is now a new first couple and the game continues. Songs are great, but our students also love literary tie ins! Here are some of my favorite books to use for 16th notes. What I love is that all of these books have other rhythmic patterns that could be brought back to teach other concepts. Your students will love this Canadian children’s book! Explore other types of pies using any rhythms. Then can you find a different type of pie that has four sounds on one beat? 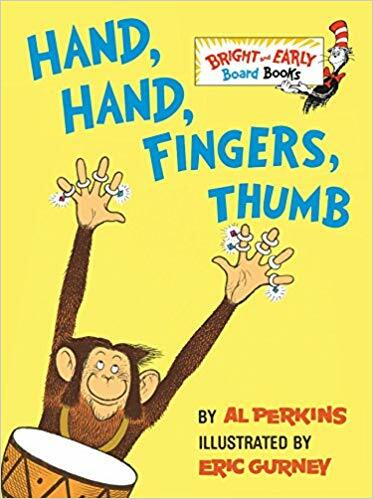 Use this book to explore hand drums with your young students, then bring it back in 3rd grade for 16th notes and 16th note combinations later. When You Have Your Songs…. What songs do your students love for 16th notes? When you have a few in mind, catalog them in a song index. It’s so helpful to create a running list of songs that you enjoy using with a specific age group. It will save you tons of time in your lesson planning, and make sure that each song you choose is purposeful in your overall sequence. There you have it. Songs to teach 16th notes that are high quality, engaging, and purposeful. I’d love to hear some of your favorites as well. You can drop a comment below - I look forward to reading it! You can grab the sheet music included in this lesson in the Folk Song page. Click here to download for free!